As a golden rule, Canada’s youth criminal justice system is not to be used as a substitute for the child-welfare system. But it happens. And it happens here in Manitoba. And it happens for a lot of reasons. Apparent lethagy by social-services and other government agencies stretched beyond thin in terms of resources is among them. Sometimes, it appears it’s ineptitude. Other times, maybe the problem presented is too complex for the system to handle with what’s available in terms of resources. Today, a concerning case came to light in youth court. Concerning in a systemic sense. It involves a troubled 13-year-old girl, a permanent ward of an aboriginal CFS agency who is a young person who is clearly in need of specialized treatment and assistance due to her cognitive and behavioural problems. 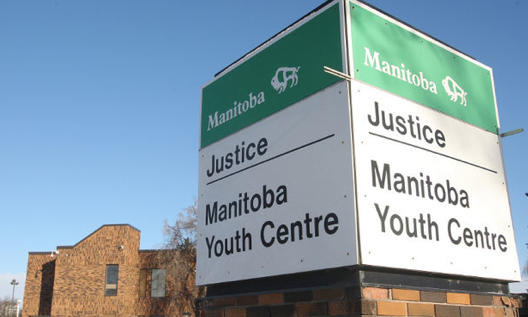 For weeks, she’s been sitting in custody at the Manitoba Youth Centre despite everyone agreeing she could be released on bail. The problem, as I came to see it: nobody appears able to figure out whose problem she is. There were few answers to this today, even with two CFS workers subpoenaed to be there in hopes of getting to the bottom of the issue. Ultimately, they weren’t asked to utter a word. In December, she was placed on a probation order by Judge Mary Kate Harvie. One of the conditions of that order — and this is key — was that she “reside as directed by the provincial director [of youth corrections]” but specifically states she is not to be placed in an emergency CFS placement hotel room. Remember this. It’s key to what’s coming below. She’s released, but breaches by the end of January and is brought back into custody at the Manitoba Youth Centre. A bail conference is held and a placement for her is ‘arranged’ at a specialized group home. That placement fails to materialize and it may never. Because there’s no placement there, she’s still being held in a jail, in my view, illegally and unethically. Her case — and the one immediately prior where another lawyer was requesting a subpoena for CFS workers who were utterly unresponsive to calls for information about her juvenile client — set Judge Marvin Garfinkel off on one of his famous rants. Unfortunately, much of it was directed at the girl’s defence lawyer. While I don’t necessarily agree with his approach, Garfinkel — a stickler as a youth court judge when it comes to following the legislation [gasp!] — had a lot of interesting things to say. Garfinkel himself authorized her release with consent of the Crown on March 15. But she’s still there, in a jail. CFS, it appears, is unable to find another place for her for an unknown reason. And the provincial director of youth corrections? Nobody in court even seems to know who that is, exactly. Here’s the lengthy discussion which took place today, mostly verbatim where appropriate. Garfinkel, to defence lawyer: What have you done to get the agency to find a placement? Then Garfinkel’s attention turns from CFS to the mysterious “provincial director” as named in the probation order, and we start to get down to what may be the real issue. Lawyer: I have difficulty believing that as well. The judge then spoke of how with the advent of the Youth Criminal Justice Act, it forbid jails from becoming warehouses for kids due to CFS-related concerns. It’s not good, Garfinkel said, to have criminals mingled with kids simply in need of care. They pick up certain skills and habits and mindsets that young people shouldn’t have. Then it appears the judge realizes he’s coming close to falling into a trap he should avoid for a host of sound reasons: that is, he’s becoming the de facto advocate for the girl. His voice booms. “I’m not advocating for this young person. What I’m trying to do is stimulate counsel to be adversarial. Don’t sit back and tell me the problem. I can’t solve it today. But you can take steps to try and get a solution. What you have to do [defence lawyer] is take steps. You, defence counsel for this young person, have to take steps. You make motions, you write the Children’s Advocate — is the agency [Island Lake CFS] — governed by the Northern Authority or the Southern Authority? (It’s the northern) … then get them involved. The Northern Authority is supposed to supervise individual agencies. Look. The Child and Family Services are under a microscope right not as a result of the Sinclair inquiry. They don’t need nor do they want any bad publicity. You file a motion in the appropriate court — the newspapers check for the list of the filings every day. The agency will get moving. But the agency — as I understand what you told me — doesn’t have control of this matter. What you told me is that the probation order says that she is to reside as directed by the provincial director. The provincial director has control. Lawyer: I think strictly speaking, that is correct but I would suggest … pragmatically the provincial director takes their lead from the agency’s suggestion. Garfinkel: I don’t accept that. Look at what Parliament did in the Youth Criminal Justice Act. Compare it to the old Young Offender’s Act and the even older Juvenile Delinquent’s Act — Parliament completely differentiated the criminal from the civil and child protection. At one time they were all mixed together. They didn’t know what it was. That’s no longer the case. When Parliament says the provincial director — who is a criminal justice official — has a role to play in the placement of this child, that supersedes the guardian responsibility of an agency. It has to. For the limited time that the criminal justice system has control over this young person’s life. You have to get the actors acting. What do you want me to do today? Garfinkel: That’s not acceptable. The Crown is not showing cause for detention except to the extent that she has a residence. Garfinkel: Based on the information you’ve provided me, it’s not up to CFS to provide a placement. Do you want me to ignore Judge Harvie’s order? Garfinkel: I’m not going to reverse it or change it … so then comply with it. If we were talking in a back room, I wouldn’t use polite language. The provincial director has to get up off his chair, or her chair and find a placement. You can’t ignore Judge Harvie’s order. How can you do that? Garfinkel: Well then, why isn’t the provincial director providing a placement? There has to be a placement. If not, make a motion in the appropriate tribunal. It’s adversarial. Garfinkel: Is the Crown taking a position on this? Garfinkel: As I understand it, the Crown is consenting to release provided there’s an appropriate placement. Crown attorney: That is our — yes. Garfinkel: So I would have thought an appropriate placement would have been found the day after Judge Harvie made the order. Who disobeys a court order? Lawyer: She hasn’t been in custody that long, Your Honour. Lawyer: She has been in custody for longer than I would think is appropriate, but she hasn’t been in custody since the day that the order was put in place. She was released initially. Garfinkel: [Mr. Lawyer,] I have to tell you, I’m very naive. When I was practising law, when a judge gave an order – I don’t care if it was from the provincial court, the Court of Queen’s Bench or the Court of Appeal — if a judge made an order, we busted our backs — If I was talking to you privately, I might use different words — but we would bust our backs to comply with that order. Now, the provincial director works with the criminal justice system. How can the provincial director ignore Judge Harvie’s order? Did the provincial director make a motion on his or her own behalf to say, ‘Hey, we can’t comply with this order, Judge Harvie, please change it. Is there any such motion? Garfinkel: So get the provincial director to do his or her job. Why are these two people [the subpoenaed CFS workers] sitting in court? You want me to yell at them? Lawyer: No. I’m not suggesting that. Garfinkel: Good. Because I’m not going to. I’m yelling at you. Garfinkel: Who is the provincial director? That person should be in the courtroom. Why isn’t that person — I’m not using the word contempt – but I’m (still wondering) why isn’t’ the order being complied with. What’s the answer? Garfinkel: Well you should know. Do you know who the provincial director is? Garfinkel: Why not? Isn’t that — I have to say I’m a little bit frustrated inside. Just before, we dealt with another case where it seems things aren’t going smoothly. But it’s adversarial. You’ve got to fight. Garfinkel: [Remands the case for one day.] We’ll see what happens then. Thank you. And thank you for the opportunity to vent. So, what can we take away from the above? Reflecting on it, I see Garfinkel wasn’t haranguing the lawyer per se, but imparting wisdom: Fight. Advocate. Even embarrass the powers that be, if necessary, into doing something. The lawyer — who I’ve seen take on a number of tough cases for clients and duke them out in court in the recent past — may be newer to the profession, but he’s anything but lazy. But from my perspective — that of a concerned member of the lowly public, there’s so much more to this exchange. You can take away from it what you will. But how is it at all right in any way that this one officer of the court has to go to such lengths to force powerful government agencies into upholding the law and doing what’s ordered of them in the first place? At the end of the day, it was he, the defence lawyer, present in court, accompanied by two child-protection workers there under force of a subpoena, in hopes of seeing some action on the case. The provincial director of youth corrections, whomever that may be (curious how nobody knows), or his or her agent, certainly wasn’t. And the girl? Just a factor, a sad variable in a massive machine which, to her, likely seems more like a system of hot potato then one of actual justice. CFS can’t act because it’s the provincial director’s problem to act on, but many are under the impression that his/her office takes its lead from CFS. And in the end, it falls to the courts to sort out the mess, but judicial orders get countermanded or ignored and nobody cares. And we wonder why kids wind up returning time and again to youth jails, and then adult prisons?